Are you frustrated with figuring out what to plant and where? 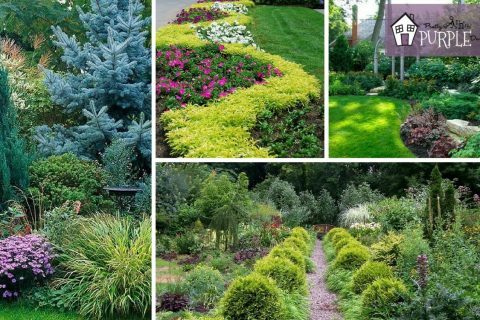 Is your yard filled with weeds, rocks and deer that are ruining your dreams of a beautiful, unique landscape? 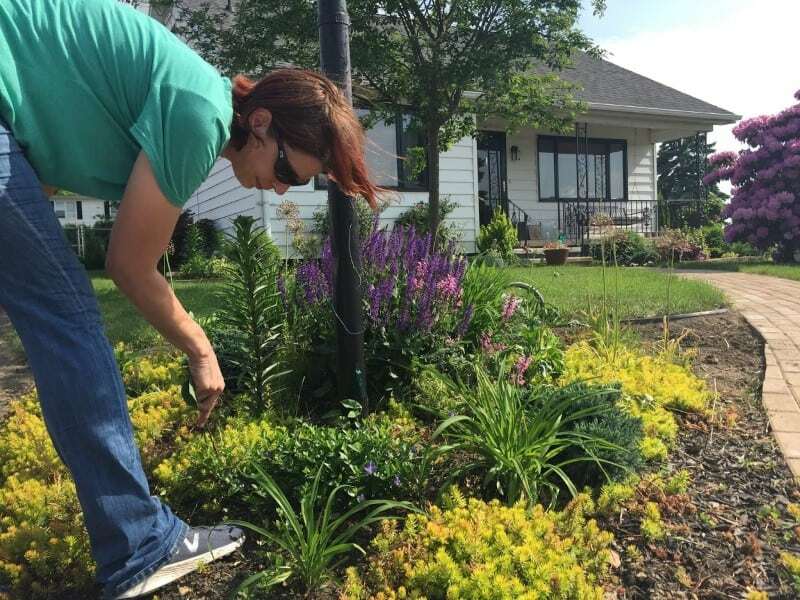 For beginner landscaping gardeners, these problems can be paralyzing… leaving you with a lot of uncertainty and stress about how to even GET STARTED. 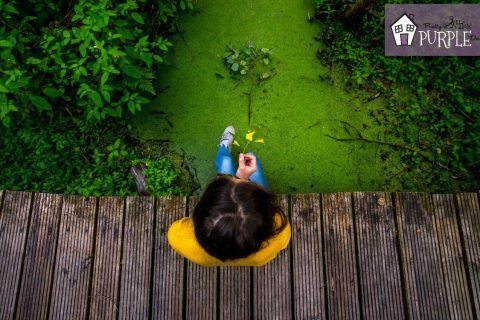 I’m Amy and I help DIY beginner landscaping gardeners design impressively beautiful gardens that bring color to your landscape all four seasons, show off your personality and suit your lifestyle. We don't break our backs with unnecessary gardening chores. We don't buy exotic plants that can't grow in our garden. We don’t set ourselves up for failure and only pick plants that will grow and thrive in our conditions. We believe that gardening is good for the soul. Gardening should be fun, relaxing and creative. If it’s not… why should we bother? I am a professional graphic designer and a garden lover. It didn’t take long for me to realize that all the design tricks I use at my job could also be used in my garden! So, I created my own unique DIY beginner landscaping system that easily combines gardening with design. It’s so much more fun than just plopping random plants in the ground and hoping for the best. Sign up below for my free plant pairing guide and I’ll show you how it’s done. 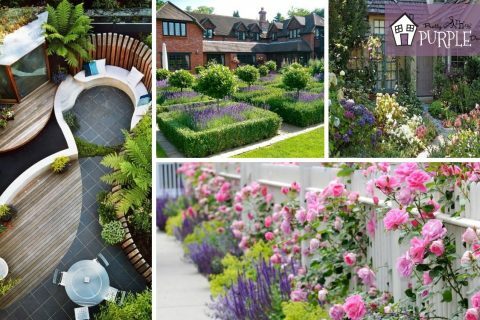 Which garden style is right for you? Let’s explore traditional, cottage and modern garden styles, plus recommendations for pulling off each garden style. Make awesome plant combinations, step-by-step. 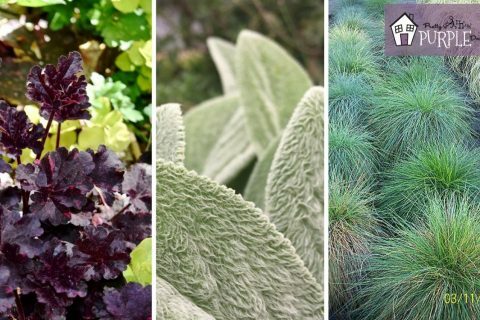 Learn how to use contrast, color, texture & form to make unforgettable plant combinations in your garden. Wondering how to arrange plants in landscaping so you have color and interest in all 4-seasons? This landscape layering guide will teach you how to easily layer plants in your landscape. The crucial first step to designing a beautiful, 4-season landscape that’s as unique as you are… is NOT what you’d expect. Learn beginner landscaping tips for DIY landscapers looking to improve their homes.